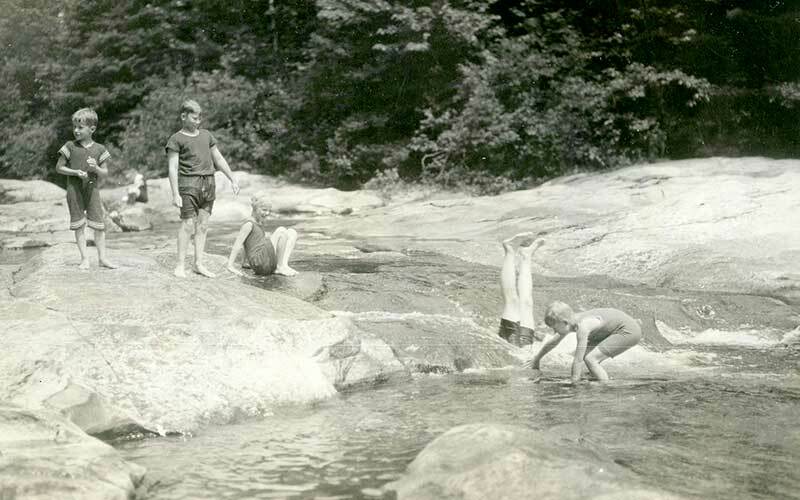 Geographically speaking, Cold River Camp represents a transition, sitting directly atop the New Hampshire–Maine state line. And in 2019, the beloved AMC destination crosses another kind of boundary: from its first century to its second. The story of the land dates far beyond 100 years, of course. First home to the Pequawket, the area saw the arrival of British settlers in the mid-1700s. As more railroads appeared, farmers came to till the land where the camp sits today. 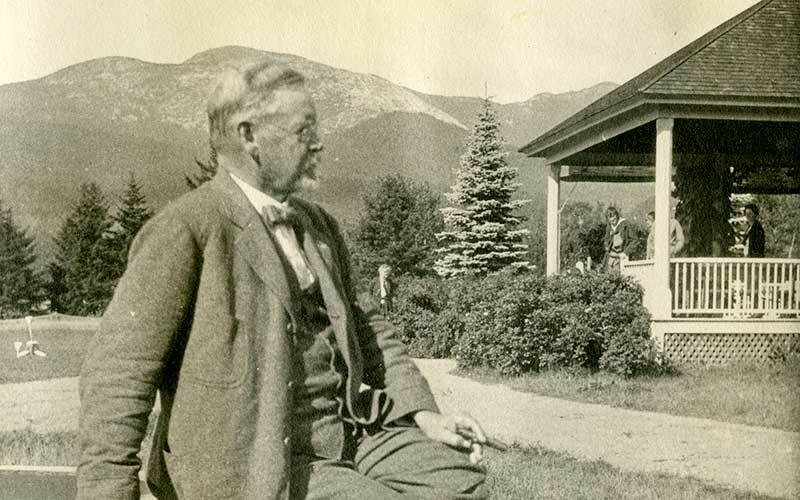 In 1906, Wilford Robbins, the dean of New York General Theological Seminary, purchased the property to build a retreat for college students and seminarians. 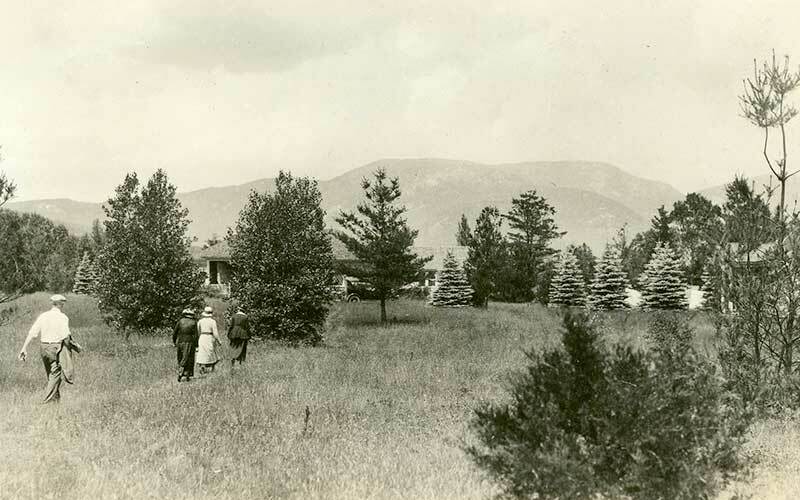 AMC first became interested in the site around that same time, as more hikers came to explore the area, and by 1902 AMC had started buying small parcels of land surrounding Robbins’s retreat. 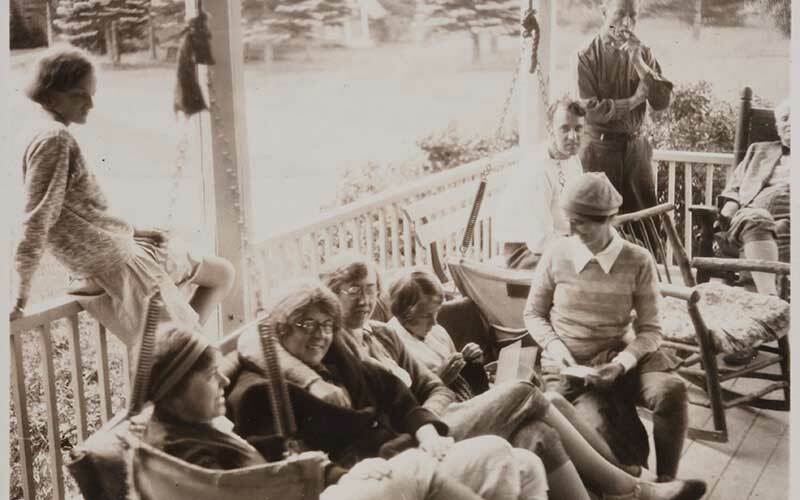 AMC was able to purchase the whole property in June 1919, after a donation from Theodore Scarborough Conant, thus establishing Cold River Camp. The $5,000 price tag included 38 acres and seven buildings, only two of which were guest cabins. 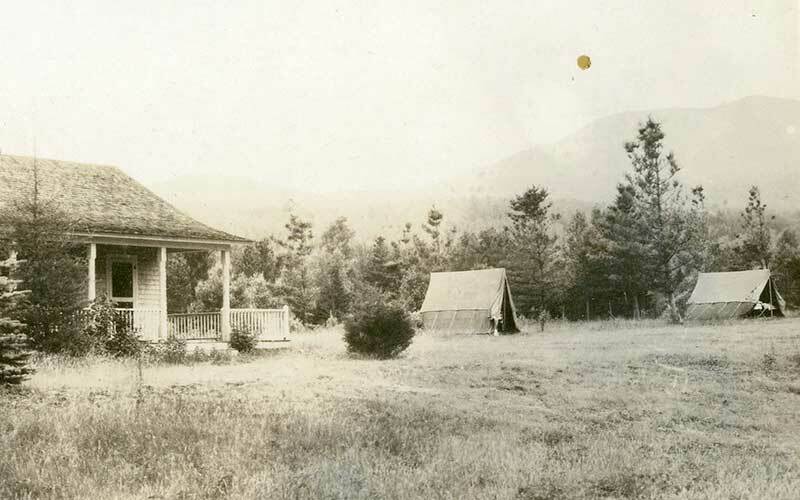 (In the camp’s earliest days, visitors stayed in tents.) Compare that to today’s roughly 100 acres, with 26 cabins and another 18 buildings, including dining and rec halls, plus a library. 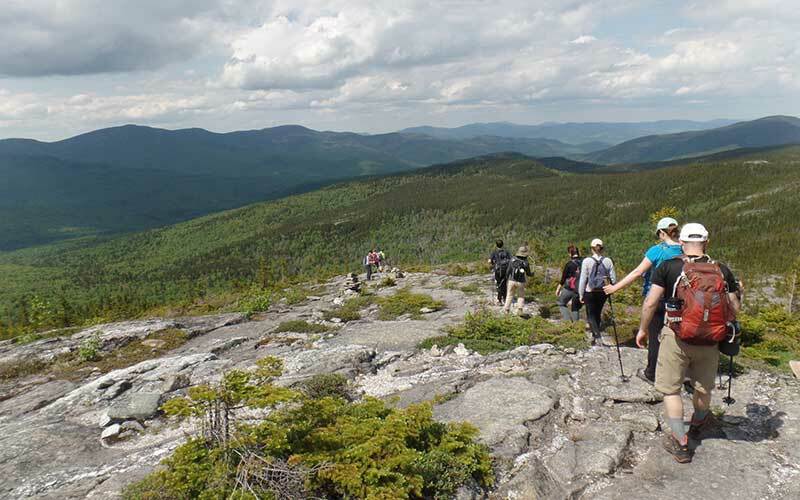 In its inaugural summer under AMC, Cold River welcomed 37 people—5 percent of the roughly 700 guests who now pass through annually. Many of these are families, such as volunteers Emma and Bob Crane, who have brought children, and now grandchildren, every summer since 1972. While the Cranes cite an appealing timelessness, some of the camp’s most notable features are marked by distinct events. In 1938, leaders threw a party after electric power arrived. 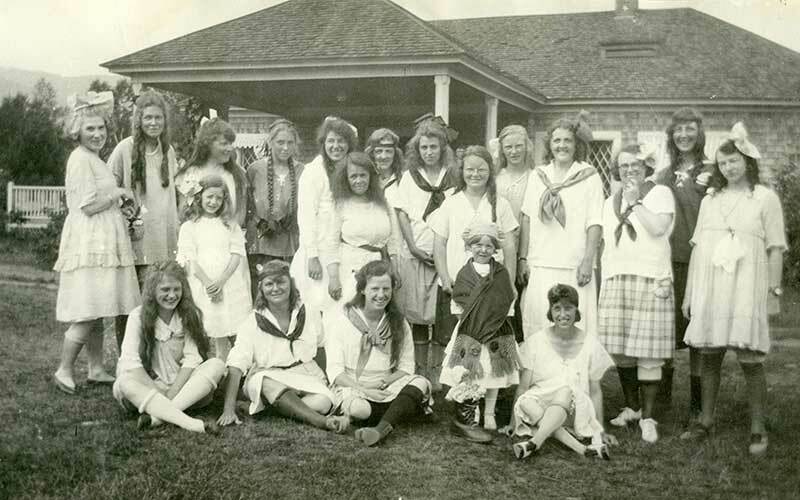 In 1975, Cold River welcomed its first female croo. 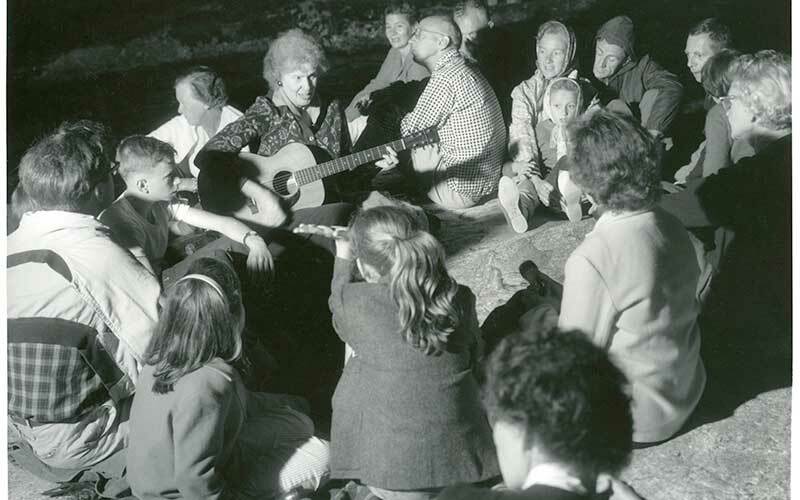 In the wake of a 1980 blizzard, the camp opened its first year-round cabin hosting winter guests. 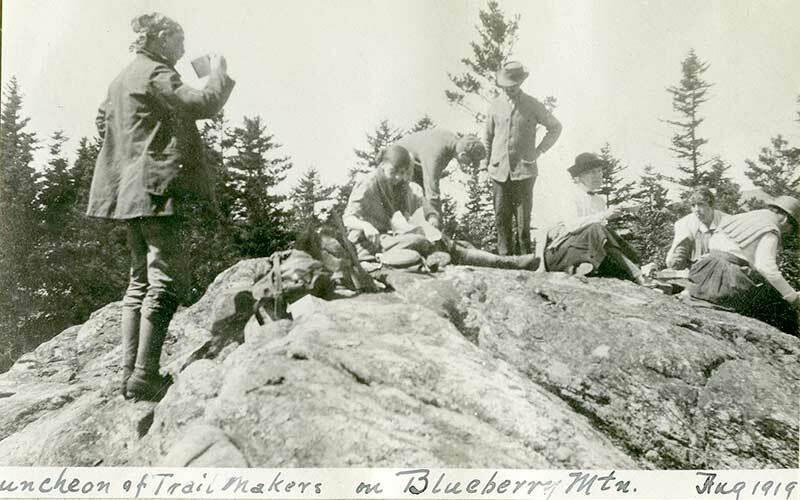 And 1941 saw the introduction of Bicknell Ridge Trail, blazed in memory of long-time volunteer William ‘Pa’ Bicknell and now a prized route for its views of the Wild River Wilderness—not to mention its stash of blueberries in season. Book a stay during Cold River’s year-long festivities and see history up close. Dive deeper into AMC’s rich history in our Flashback archive. Kelleigh is managing editor of AMC Outdoors.